Cabinetizers currently have a lead time into May. Order now to get yours on the production list. 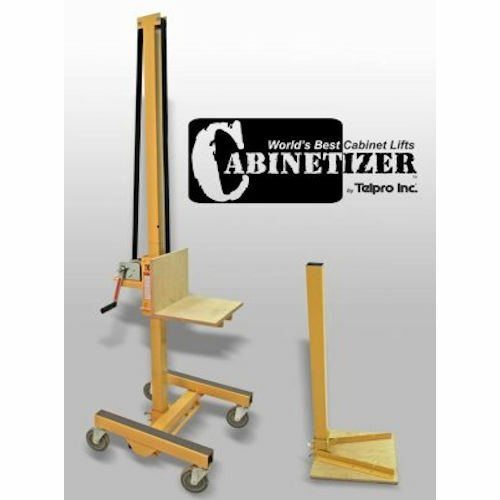 The Cabinetizer Model 76 is patterned after the Gillift® cabinet lift but is made of steel versus aluminum. 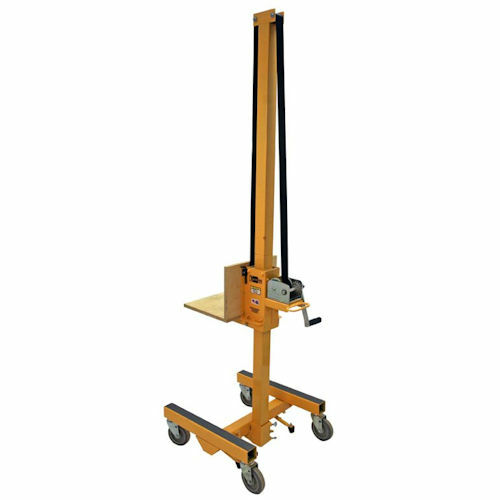 What results is a heavy duty cabinet lift that will stand up to the harsh environment of time and work. Properly hang and transport cabinets with the Cabinetizer™. It's three tools in one! 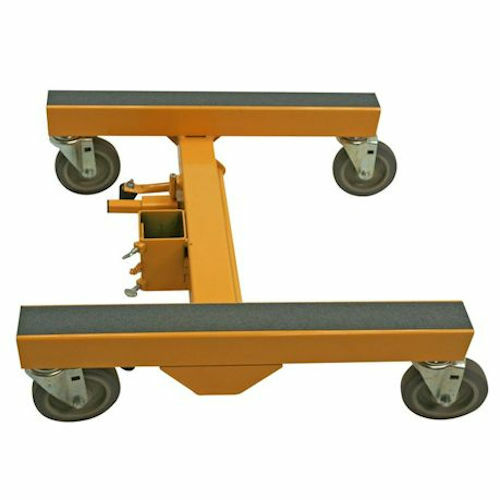 Converts to a dolly to transport base cabinets. Use the counter top base to install the upper cabinets (when lowers are installed). Use the rolling floor base to transport and install the upper cabinets. Also works great for: televisions, air conditioners, heaters, microwaves, range hoods, shelves, garage organizers, and electronic components. The Cabinetizer is sold in one model that includes the rolling floor base, a counter top base and split boom and a collar. This allows you to hang cabinets the way you want to. The Cabinetizer can also be fitted with the optional Drill Drive model 1013. 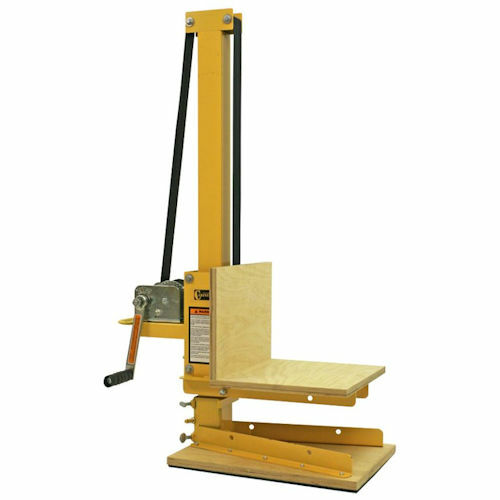 This will allow you to raise and lower your lift effortlessly with a drill. 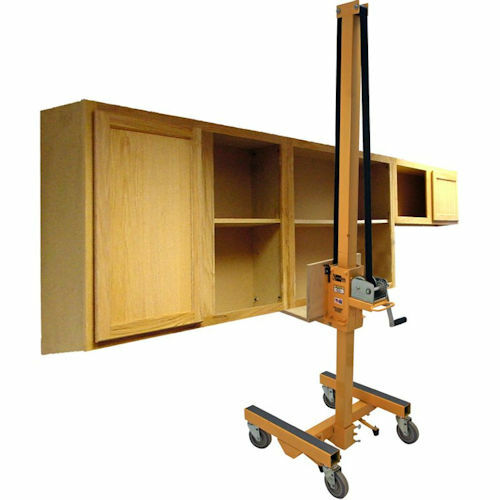 The Cabinetizer cabinet lift also has an optional height extension that allows you to lift loads weighing up to 150 lbs up to 8 feet in the air. And an optional depth extender that deepens the collar and the base to 24 inches allowing you to lift deeper cabinets and objects weighing up to 150 lbs.